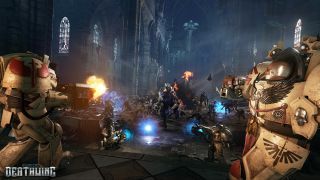 Prior to THQ's bankruptcy and breaking up, Relic Entertainment were the proud bearers of games set within the Warhammer 40k universe. 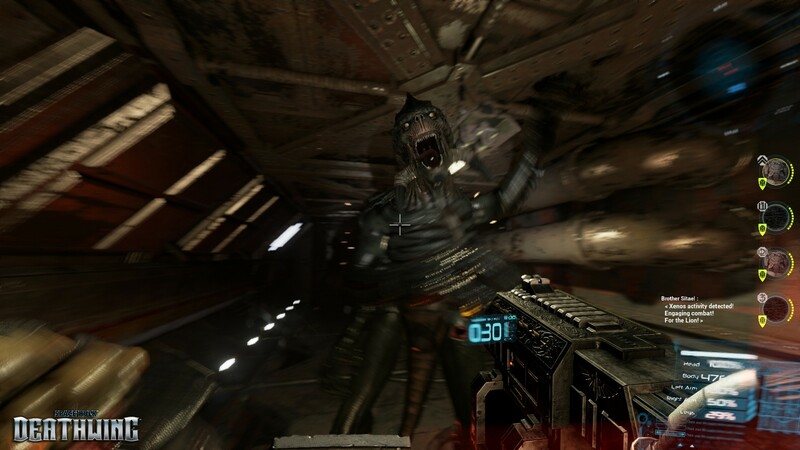 Once that licensed got unleashed upon the world, I've been waiting for someone to make a (good) game that puts me in the shoes of a Terminator and puts me to work killing some Genestealers. 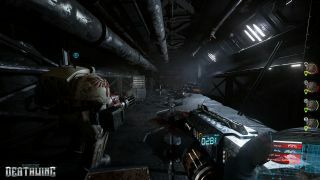 My wishes may come true with Space Hulk: Deathwing, the forthcoming FPS from Streum On Studio. I am cautiously optimistic about this news. 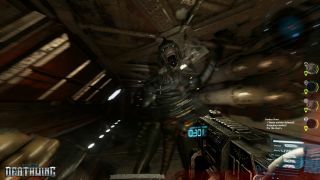 Streum On Studio's previous title, E.Y.E: Divine Cybermancy, an FPS that did some kind of cool things with its mechanics. Applying some of the insanity underlying everything in E.Y.E. 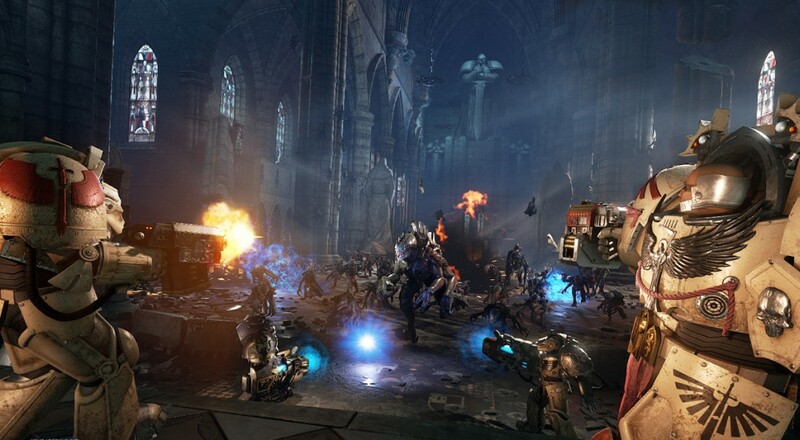 to a game where you're a walking tank serving an immortal emperor that's little more than a decaying corpse on a throne as you clear out a spaceship of creatures whose sole purpose is to devour genetic material... there's hope. Players will be part of a Terminator squad tasked with clearing out the narrow corridors of a giant spaceship, called a "Space Hulk" (we have game title, everyone! ), of the ferocious, unrelenting Tyranids. 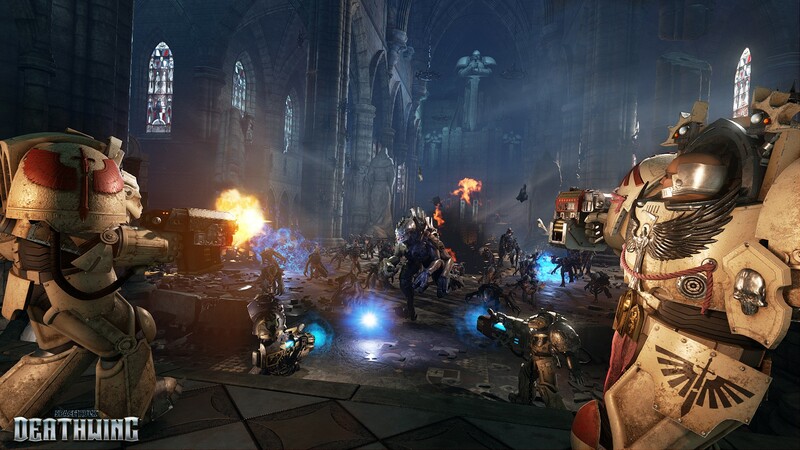 If you play the game solo, you'll play as the Librarian in charge of the squad of Terminators and issue commands to them. If playing as a group, each player chooses a member of the squad - each with their own unique role and specialization - to play. It sounds like there will also be some RPG mechanics involved where you earn "Fervor Points" that can be spent on skill trees to improve/unlock abilities. Beyond that, not too much else has been revealed about the game. 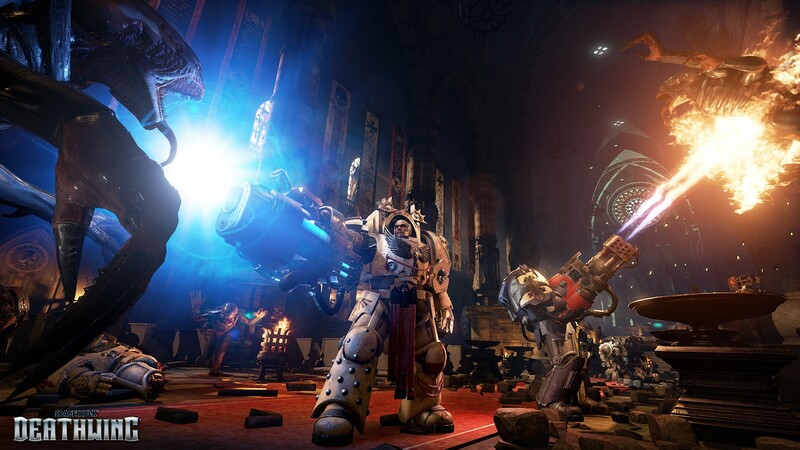 There is going to be some kind of "dynamic AI" system in place where enemies will get tougher or easier depending on how well you do, and the story is being written by Gav Thorpe, an author that has contributed significantly to the Warhammer 40k lore via novels and short stories. No solid release date for the game, of course, but it will be arriving on PC and "consoles" in 2016. There will be a playable demo of the game on the E3 floor next week, so hopefully we'll get some more info once E3 kicks off! Page created in 0.4498 seconds.